Les Mirages represent new unisex additions to the iconic Prada Olfactories collection – a series of potent fusions for the indomitable Prada spirit. Les Mirages is informed by the nature of community, constructed differences, oriental/occidentalism, and futuristic travel. Miuccia Prada and perfumer Daniela Andrier re-imagine the art of scent as global atlas: each formula a pin in an imaginary map. They reinterpret the codes of Orient fragrances in these glimmering Olfactories. 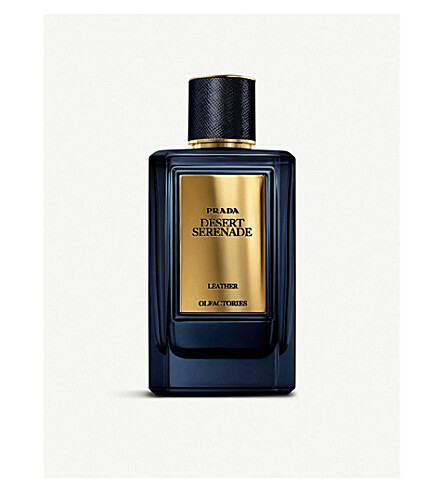 Part of the Prada Olfactories collection, Desert Serenade is a darkly elegant honeyed-leather aroma that shifts with notes of saffron, like memories from the afternoon preceding a crisp night. 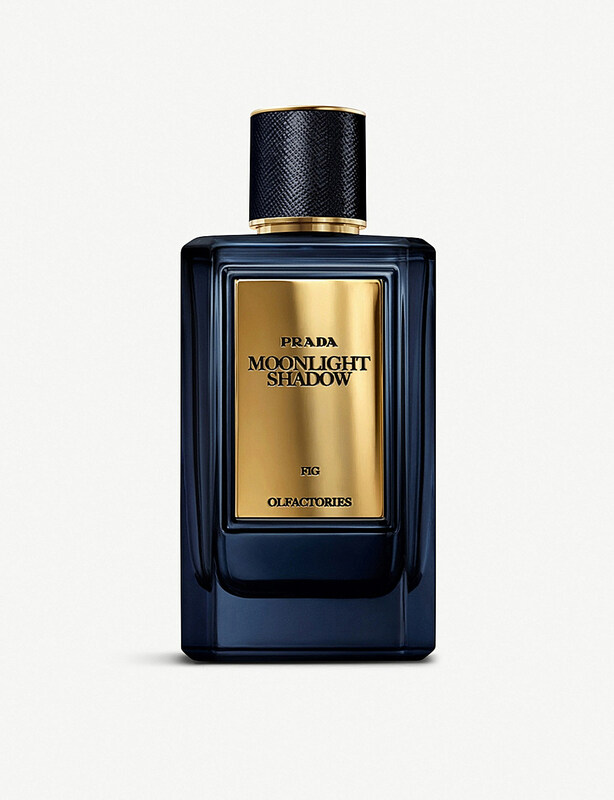 A true luxury in the world of perfumery, its dark-hued flacon is found nestled in a silk pouch, inside the box featuring the classic Prada saffiano leather texture. Part of the Prada Olfactories collection, Babylon cools like a desert palace magically made of crystalline sand. A mirage of sandalwood, cistus, and amber, evokes interpretations both ancient and fresh: a mythological city in a neon sky. 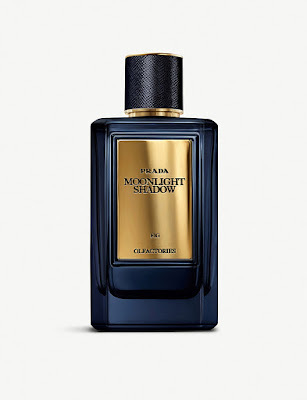 A true luxury in the world of perfumery, its dark-hued flacon is found nestled in a silk pouch, inside the box featuring the classic Prada saffiano leather texture. The latest addition to Prada’s Olfactories collection, Mirages are luxurious, potent concoctions inspire by the Orient. A worldwide exclusive, Midnight Train is a mix of memories accented by scents that have come in from distant aromatic cities: sweet Texan cedarwood, woody Andalusian citrus, and Indonesian patchouli swirling around a bright, warm Amber accord. 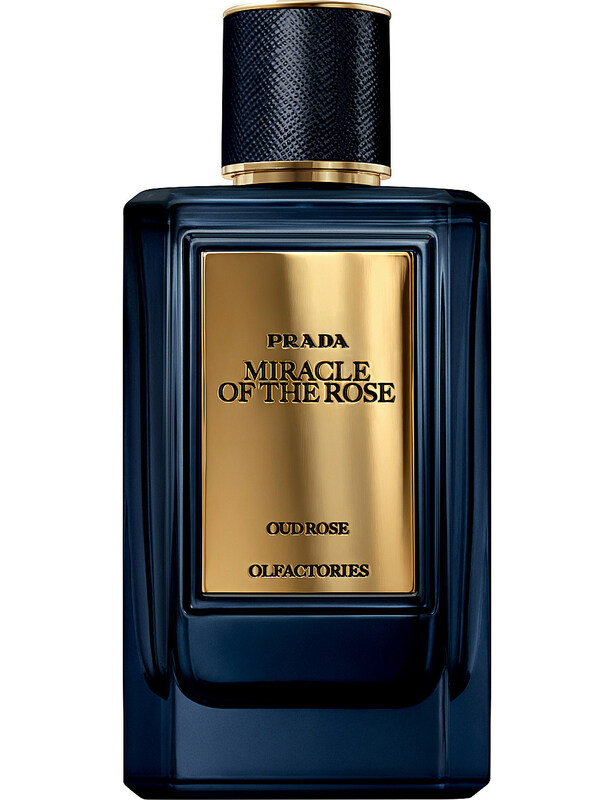 The latest addition to Prada’s Olfactories collection, Mirages are luxurious, potent concoctions inspired by the Orient. Miracle of the Rose surrounds the elegant flower with an almost unfathomable depth, with the delicate yet potent notes of rose absolute and patchouli. There is a deep architectural sensation – a physical volume of leather, agarwood, and tobacco – layers that build for decades, centuries.